There have never been more options for Stanislaus State students who want to study abroad. They can choose from dozens of countries and programs, spend one or two semesters away, pay with financial aid, get scholarships and stay on track to graduate in four years. The University now offers three study-abroad programs with the newest allowing students to study in one of several countries for one semester with their sole tuition cost being their Stan State tuition. Called the Stan State Exchange Programs, the new option features partnerships with universities in France, Germany, Japan, South Korea and Spain. Universities in other countries are being added as more partnerships are formed. To help students learn more about study abroad opportunities, the Office of Extended and International Education conducts information sessions every week during fall, spring and summer terms, with the last session of the fall 2018 term scheduled for noon on Friday, Dec. 14. Attending one of these sessions does not commit students to studying abroad, but it is the required first step for students who are interested in doing so. 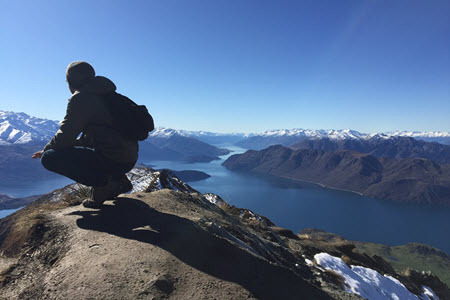 Students are eligible to study abroad once they establish a college GPA, Fentress said, and that means students who start planning early have the most options and the best chance of all courses taken abroad counting toward their degree. “By working with us, they can make sure they don’t take classes here that they can take abroad,” Fentress said. Not only do the information sessions present a general overview of the available options, they address some of the concerns that typically cause students to shy away from studying abroad. For example, Fentress said, many students are surprised to learn that studying abroad can be affordable. Housing and meal costs are typically reasonable, financial aid can be used abroad and scholarships are available. One of the ways Stan State supports study abroad students is by thoroughly vetting programs and establishing relationships with the staff at international locations. Over the last few months, Fentress has been visiting the newest partner universities to meet with her counterparts and become familiar with the facilities and the regions where the schools are located.